It’s never too early or too late to learn piano! We offer individual weekly private lessons for students of all ages and levels from the very young to mature aged. Our one-to-one lessons provide an opportunity to customise a learning programme to suit you, incorporating theory and practical. Our experienced teachers are performers themselves and will encourage you in a safe, supportive and enjoyable environment. It’s your lesson and your music. Our students range from beginners to advanced and we welcome all participants whether learning just for enjoyment or with the intention of making music their career. Our students may sit exams, participate in performances or just play at home for themselves or their families. Choose what you want to play, from the great classics to smooth jazz to modern pop. The home instrument will need to be capable of supporting the student’s level of development. 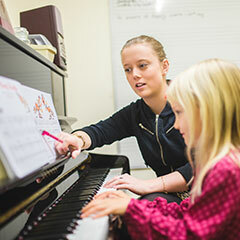 Performances of our students over many years establishes us as the leading music school in CQ in piano. High level results in exams for dedicated students is possible. Students may develop techniques of the finest players through the sharing of high level knowledge. Fun and enjoyment for early learners developing a new skill. Numerous prizes for students in Eisteddfods and other competitions. The teaching methods for piano and keyboard are similar. Students with keyboards at home are taught the technical skills required to play their instrument at home with a high level of expertise. 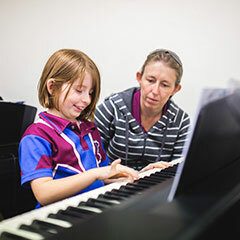 Performances of our students over many years establishes us as the leading music school in CQ in piano and keyboard. Play in the Digital Section at the Eisteddfod or at the Yamaha Festival. 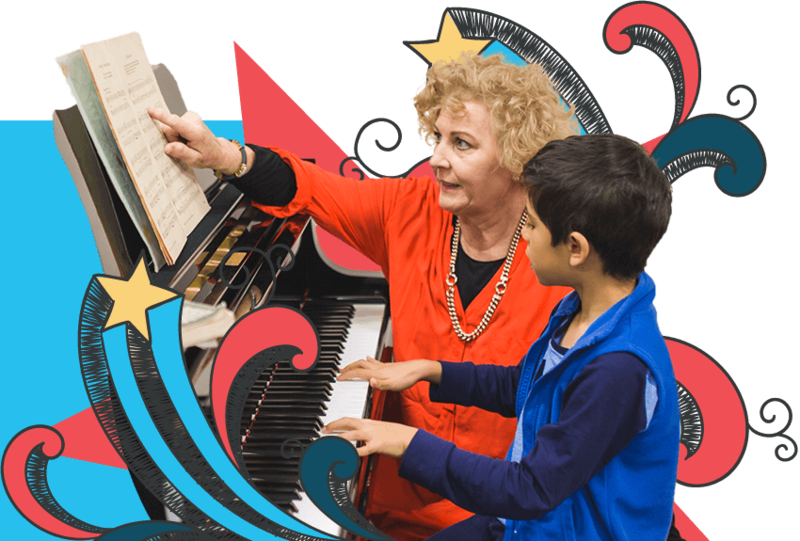 We welcome students of all ages to all of our music education opportunities. A specially designed path for adults has been developed by Miss Berna for adult learning. Mums and Dads of our younger students together with Grandparents and other members of families often become permanent students at Major Player. 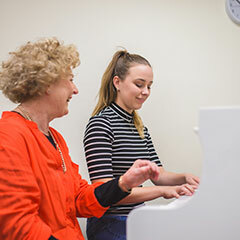 We delight in helping many very mature aged students gain musical abilities that they never thought was possible! It is a highlight in presenting prizes at the Nancy Weir Awards in March each year when our mature aged students join our younger ones on stage to receive their recognition for achievements. Many adults join us, never having played any musical instrument before. Others come back after having sadly stopped playing in their very early years. 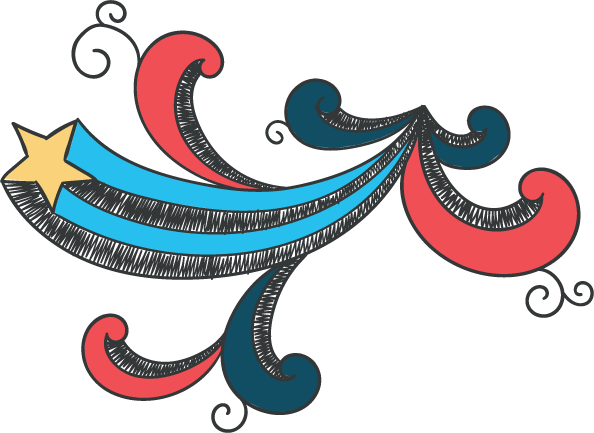 Just tell us what you would like and we will design the program for you. Learning achieved without undue pressure. Have fun while gaining skills you never thought possible. Being able to play with the kids or in bands. Many Mums and Dads also sit external exams - to their delight.